12 ENJOY YOUR WONDERFUL NIGHT IN HALONG BAY! Every traveler hopes to come back home with a treasure chest full of amazing memories. One look at a photo of Halong Bay, Vietnam inspires a million thoughts and feelings, from excitement to adventure to relaxation to romance. One perfect way to create these vivid recollections is by booking an overnight tour through the karsts and emerald seas of this brilliant Unesco World Heritage sight. It’s an ideal experience to see some of the lesser known spots and weave a two-day tale for the primary characters on your journey. You explore some of the limestone caves, get acquainted with a local fishing village, and lounge for hours in the sun. 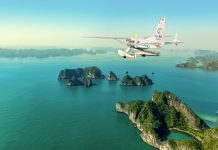 While there are several tours to choose from, all with unique attributes and tantalizing itineraries, here is a list of some of the best Halong Bay overnight tours of 2017. 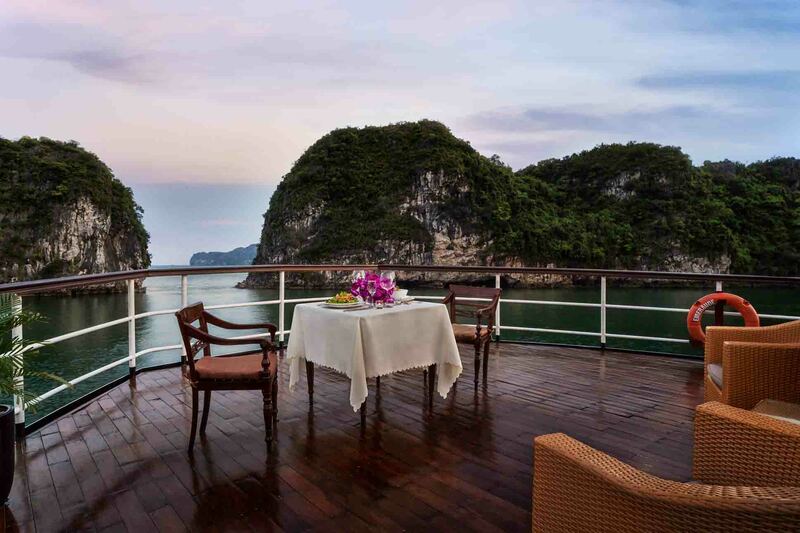 If excitement is what you seek, stick with Hai Au Aviation and book their Halong Bay Flight and accompanying Emeraude overnight cruise. 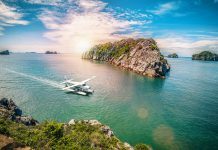 This option will allow you the same benefits of a seaplane flight to or from Halong Bay, but with the added advantage of an overnight cruise through the mystical waters of the bay. Imagine flying through the skies, looking down on the stunning scenery below, then submerging yourself in the landscape by taking a decadent cruise. 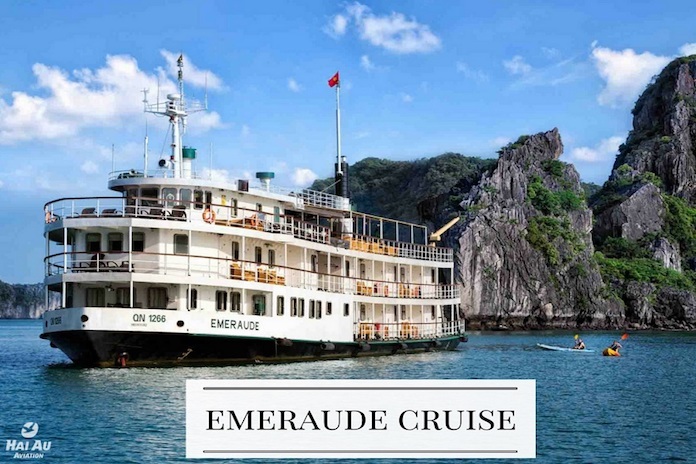 Emeraude is known for top-of-the-line luxury boat experiences. 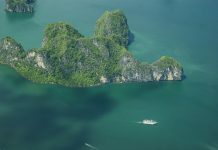 They offer multiple activities such as a Vietnamese spring roll cooking class and an opportunity to kayak through Pearl Farm. You’ll also have plenty of time to swim through the sea and stare at the sunset. You’ll be able to mix excitement and tranquility as you end your day wandering the deck under the heavens above. After cruising through Human Head islet, Trong Mai and Dinh Huong islet, you will leave this tour with excitement ringing in your ears. You could book the tour here. There’s a little thing called wanderlust that tugs at the heartstrings of travelers worldwide. Many of these intrepid folk are backpackers who pick up their life and carry it around with them as they venture through the world with nothing but a spirit for travel in their hearts. Halong Bay pulls these travelers from all around the globe, throwing its siren call out to the masses with beauty and charm. Griswalds Vietnamese Vacations (The Real Kangaoroo Cafe – 18 Bao Khanh Str., Hanoi) focuses on an economic way to see the sights of Halong Bay. On your way to Halong Bay you will make a short nature stop at the Hong Ngoc Humanity Workshop. While on the boat, hit up Ti Top Island and Sung Sot Cave. Climb to the peak of Ti Top and marvel at the scenery below. Discover the mysteries of Sung Sot and ponder the ancient history. You’ll be given time for swimming, kayaking, and even nighttime squid fishing. We suggest booking at their office. They also encourage making reservations last minute so you can enjoy the flexibility of your trip and make spur of the moment decisions. Wanderlust at its best! Walking arm-in-arm on a twilit deck while the sun slowly sets in the background is the perfect scenario for the romantic at heart. This tour is known for taking you a little off the beaten track. 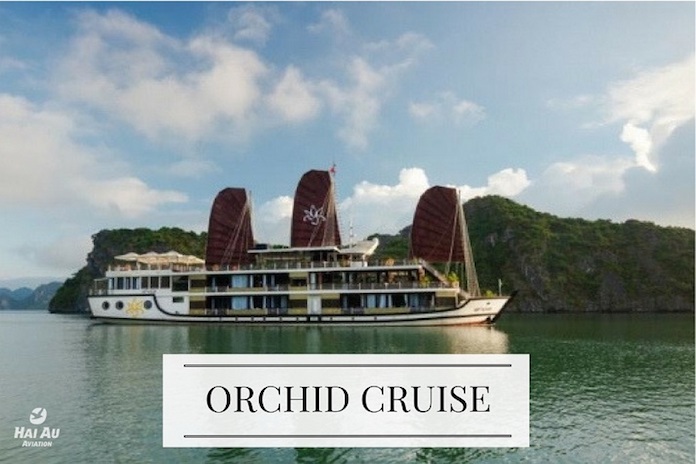 You will arrive in Hai Phong City and cruise through the seductive sights of Lan Ha Bay. 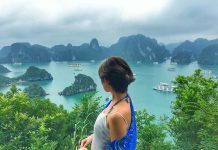 Rather than fighting the crowds of some of the more touristy areas of Halong, this tour offers a little more tranquility for those looking for a private moment to steal a kiss. You can take a Vietnamese cooking class and learn a new dish to share together at home. Take a lesson in using fish nets and get caught in each other’s gaze. Book one of the luxury rooms with a big private balcony and enjoy a nightcap with the breeze blowing through your hair. Enjoy a scrumptious brunch with the Vietnamese backdrop framing your perfect honeymoon photo before bidding farewell to Halong. Nothing says romance like this dreamy overnight tour. The price average is $384/ suite cabin with private balcony, available for booking online. True travelers at heart are known for an independent streak and a desire to live life to the fullest. Their memory books are filled with friends, family, and solo trips alike. 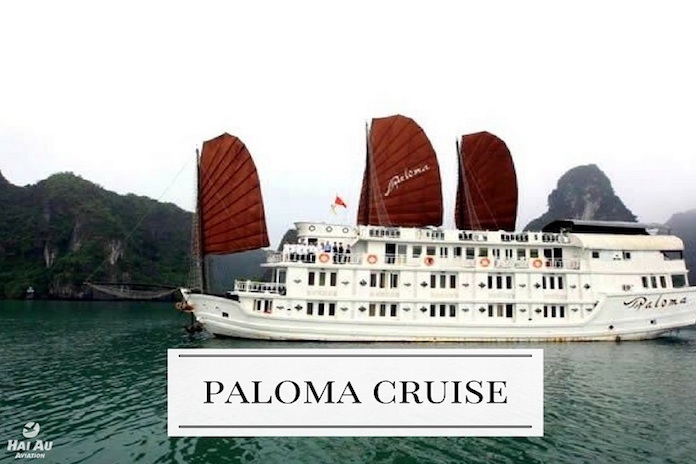 For those heading to Halong Bay on their own, the Paloma 2-Day Cruise is a great way to experience Halong Bay. You will make your mark on the beautiful scenery as you glide across the waters in a traditional junk boat. 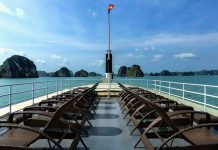 This cruise embraces some of the highlights of Halong Bay while also cruising further out toward Bai Tu Long. You will be able to roam amongst the stalagmites and stalactites so unique to the limestone caves as well as visit the traditional floating fishing village of Vung Vieng. Take a solitary moment in one of the karsts or mingle with the natives on shore. There are plenty of onboard activities such as films, dancing or board games if you’re in the mood to meet some fellow voyagers. If not, cozy up in your private cabin and muse over your solo adventures. The average price is $600/ deluxe ocean view cabin, as booked on their website. If you’re traveling with a group of friends in search of lifelong memories then Ethnic travel is a good way to go. 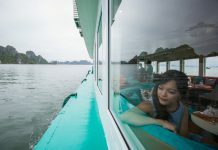 Ethnic Travel prides itself on utilizing a “style of travel that is environmentally, culturally and socially responsible.” They emphasize low-impact tourism and prefer to show off areas of Halong Bay that are less frequented by travelers. 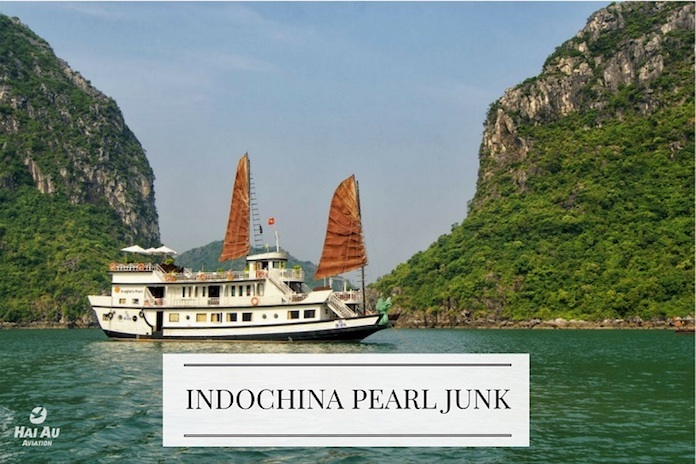 You will tour on junk boat and see some of the typical limestone anomalies around the bay. You will also spend much of your time kayaking through the karsts each day and swimming if the weather is clear. This is a great opportunity for physical activity and bonding with your mates. In addition to the good value of the tour including meals and entrance fees, the larger your group, the lower your fee per person. This is your opportunity to seal the bonds of friendship and have a merry time. It’s an amazing tour for building camaraderie and coming home even better friends than ever. 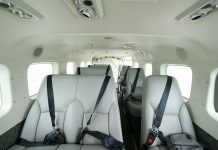 The average price is $115/person due to group of 2 to 10 persons, available for booking online. 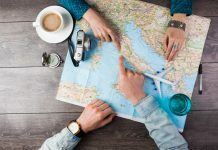 Very few travelers are able to wander the globe without considering finances. 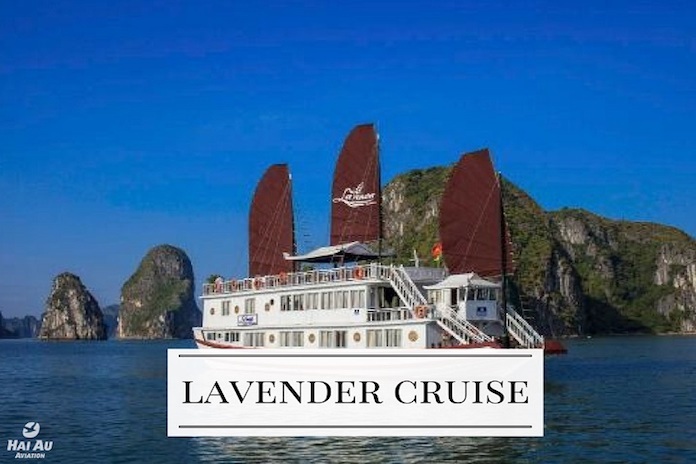 For the frugal-minded, Lavender Cruise is known for giving wonderful tours at very good value. They are some of the most affordable cruise lines for two or three-day tours. 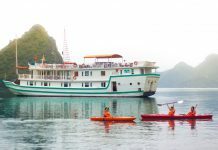 You will enjoy all of the typical Halong Bay sights while cruising on a traditional junk but without worry about excessive prices. You will kayak through Ba Hang Village to meet some of the locals then have a choice to go photo hunting in caves or discover how beautiful jewelry is made at Pearl Farm. In the evening you will get to savour the delights of traditional Vietnamese food followed by a nice game of cards or a round of karaoke. 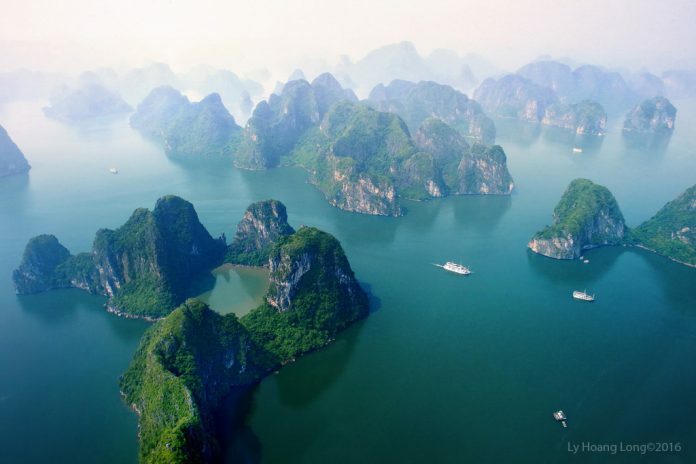 It is a chance to see Halong Bay at its best under ideal circumstances. This tour may not have some of the luxurious perks as the other cruise lines, but you will not leave disappointed or broke. You can book through their website with The price will be from $150/ person for 2D1N trip. 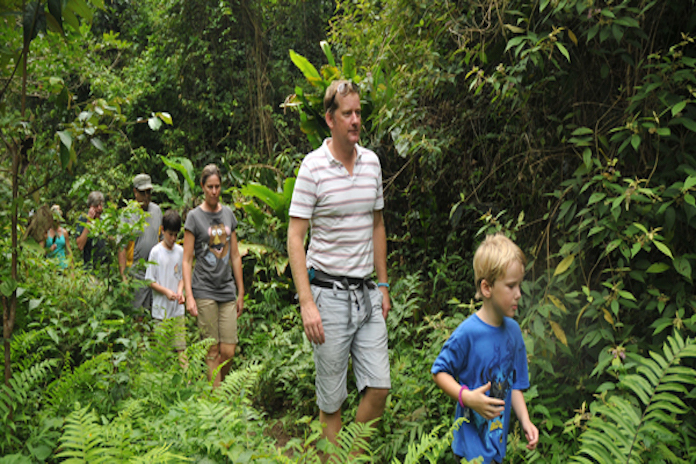 Travel hand spins your tour to make it just right for you and your family. You will cruise away from Halong Bay and closer toward Bai Tu Long Bay, seeing the limestone rock formations and getting a chance to kayak closer to the karsts. Enjoy meal times as a group, relishing in the unique tastes and flavors while catching up on the events of the day. Wake up to engage in some tranquilizing tai chi lessons as the sun rises from the horizon the next morning. The prices are reasonable, the conditions are great, and children’s menus are available. Don’t leave Halong Bay without writing some more history into your family tales. The average price for booking online through their website is $129/ person. Nothing will make you feel more like an explorer of the deep seas than cruising around on a traditional junk boat. Dragon Pearl Junks offers beautiful historic looking boats that will put you right into the shoes of a wily pirate or savvy spelunker. Swim all afternoon in the crystal clear waters of Halong Bay and fancy yourself a mermaid swimming through treacherous seas. Wind your way through the secret passages of Thien Canh Son Cave and imagine the ancient explorers discovering new territories. Take a rowboat through Vung Vieng fishing village, pointing out the infinite amount of sea creatures shooting around below. You can follow the map of the journey and envisage your own grand adventure out at sea. 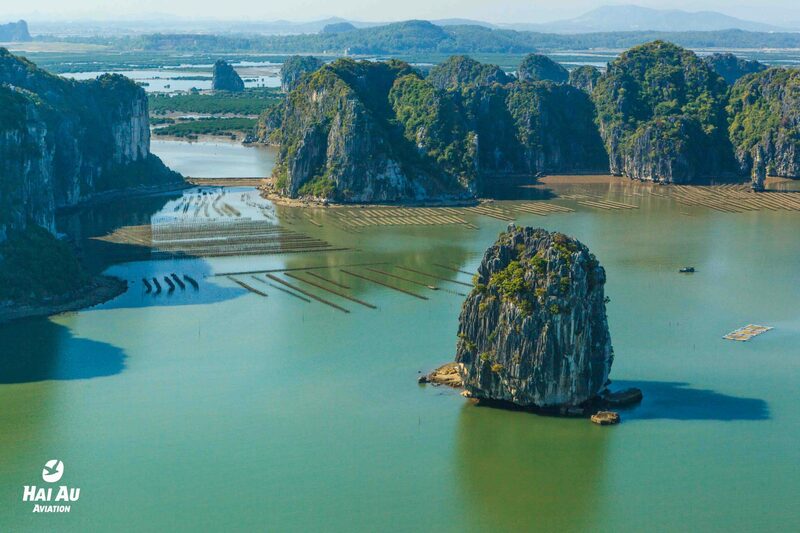 Halong Bay is filled to the brim with mystery and mystique, from the stone caves to the sea creatures. So don your explorer’s hat and set sail. Average price for twin sharing cabin is $185/ cabin. For the adventurer who doesn’t want to leave a moment left undiscovered, the Cat Ba ventures tour will have you trekking, camping and kayaking nonstop. You will ride a bicycle through the rice fields, trek through rainforests and valleys, and climb to the top of a mountain to see the land that you just conquered for yourself. After an amazing day of nonstop discovery, you will have delicious bbq on an open fire and sleep under the stars if the weather permits. The next day, you will cruise and kayak through the caves of Halong Bay and have the opportunity to swim and snorkel in Ba Trai Dao Lagoon. This tour is full of grand adventure, physical exertion, and a mountain of memories for the daring and courageous. Don’t take this tour if you are in the market for rest and relaxation, but make it your number one choice if you want to write an epic tale. The lowest price as booking online is $138/ person for a group from 2 -8 persons. If indulgence is what you’re after, the first choice on our list is the only one that doesn’t include a cruise option. 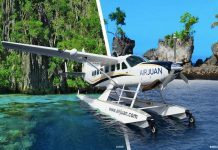 Instead, it offers a 1-night stay in a glamourous hotel with a 1-way transfer by spectacular seaplane. 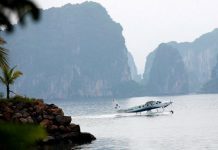 Hai Au Aviation is the only seaplane company in Halong Bay, specializing in one-of-a-kind seaplane experiences. 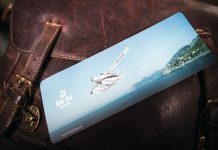 These modern aerial wonders take tourists to and from Hanoi on a daily basis, cutting the transfer time in less than half. Rather than spend most of your journey in a 4-hour transfer by car, taking a seaplane will make you feel like an absolute star. 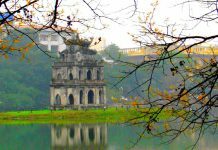 Fly high above the ground and feast on the sights and sounds of Vietnam as you fly both to and from Hanoi. Then stay in a fancy hotel equipped with all the modern convenience one could wish for. Not to mention stunning views of the sea and the sky. Breakfast is included before you board the seaplane once more and finish your decadent trip. 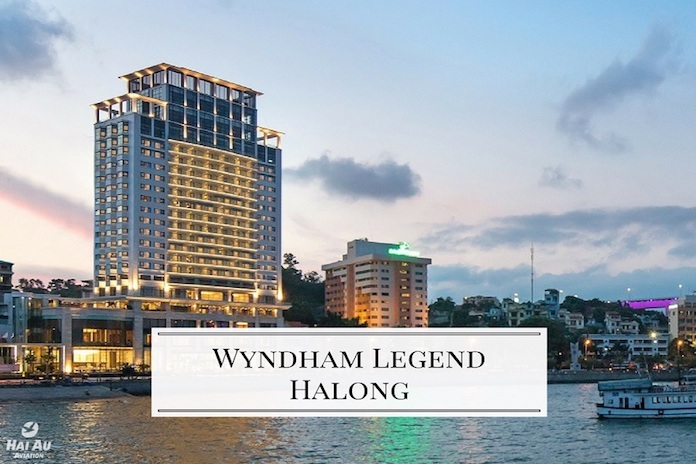 This tour is excellent for business people who need to stay in Halong for a work meeting, or couples looking to indulge in a lovely hotel while they spend their days building their own memories in and around the seascape. ENJOY YOUR WONDERFUL NIGHT IN HALONG BAY! Halong Bay, Vietnam holds the keys to all manner of merry and mischievous myths. No matter what kind of traveler you are, the stories and memories brought home after a 2-day trip in the bay will last a lifetime. 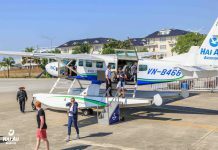 From a bird’s eye view on a stunning seaplane to a romantic walk at twilight to a kayaking excursion through the local floating villages, the anecdotes and flashbacks will come in full force. The memories you want to bring back home from a truly magical vacation are always lined with the most stunning detail. 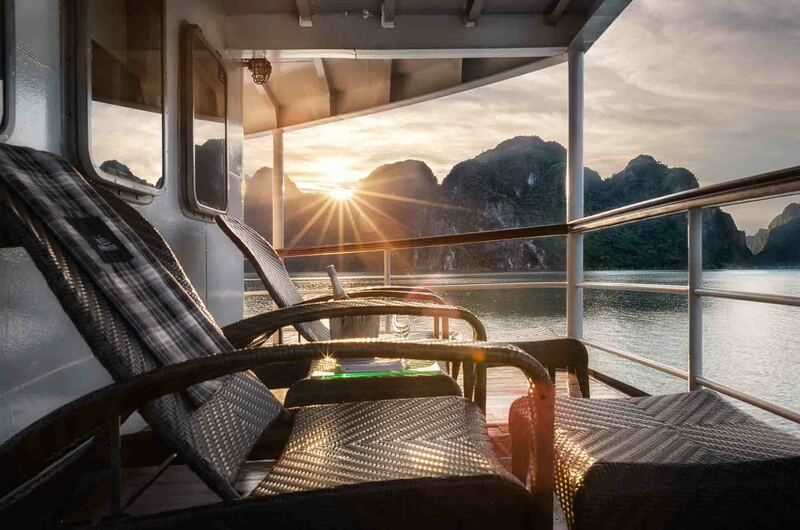 With each Halong Bay overnight tour, there is a separate story to share. 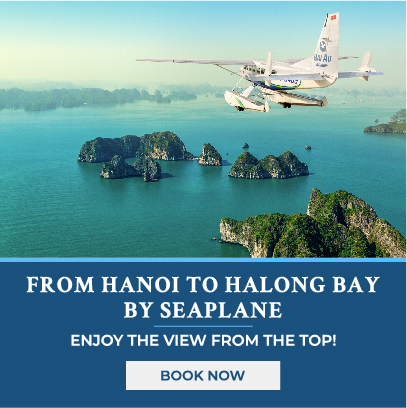 Whether you are looking to satisfy wanderlust, hankering for family time, or desperate for adventure, there is a perfect Halong Bay overnight tour for you, along with our flights to Halong Bay flights.